Every Investor is unique and deserves customized advice. We work with our clients in developing comprehensive wealth plans. This holistic approach leverages TD specialists, while working in concert with our clients' tax professionals and legal advice. By engaging TD specialists we can help ensure that our clients receive sound risk management, tax minimization and estate protection strategies.We believe in life long wealth creation with a focus on quality investments that are designed with the objective to provide quality returns. All positions are actively monitored and changes are made - in conjunction with our clients - as fundamentals change. Over the past 25 years I have worked in a variety of Wealth Management roles including; Financial Advisor, Financial Services Manager, Investment Wholesaler and now as a full service Investment Advisor holding the CFP® and CIM® designations. Put my dedication and experience to work for you. My wife and I are supporters of BC Child Welfare, Community Soccer and Autism Okanagan. 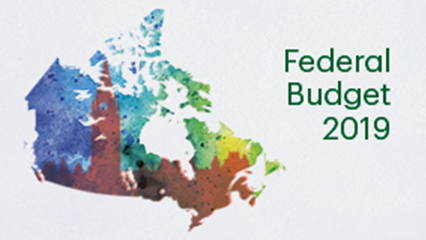 The government released the 2019 Federal Budget on March 19th. The budget proposes new measures geared towards helping new home buyers, Registered Disability Savings Plan beneficiaries, and farmers and fishers. Click more to learn about the 2019 budget and its plan to invest in the middle class ahead of October's election. I love the opportunity to make a connection with people. Client service is everything to me; I hope to make your day brighter with every interaction. I was born in Haida Gwaii and grew up in the sunny Okanagan. 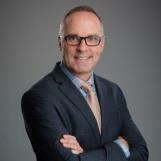 I began working for (TD) Canada Trust in 1995 before relocating to Vancouver shortly thereafter to further my career. I have worked a variety of roles with TD including Credit Specialist in the Mobile Mortgage Department and as a Financial Services Representative. Family goals prompted the move back to the Okanagan and I couldn't be happier. My sons Kai and Finn literally keep me on my toes, as they are both taller than me now! Paddle boarding, kayaking, mountain biking and skiing keep us busy throughout the year. We are proud supporters in our community. We have contributed our time to Arion Therapy Farm (United Way), the TD Pride Festival and many years between Vancouver and Kelowna for the Shoreline Cleanup. I have also planned and organized several TD Friends of the Environment Foundation events for our local branches. I very much look forward to getting to know you, assisting with your financial needs and giving you the high level of service you deserve.